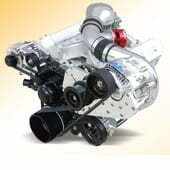 Steve Morris Engines has been the industry leader in innovation and power development for ProCharger equipment for over 14 years. We have developed many proprietary pieces and equipment for the brand and continue to push the envelope for ProCharger Superchargers. Take a look through their current offerings in the tabs below.